Meet our team at popular events and conferences all over the world! 2019 represents the 30th anniversary of the Symposium on Medicinal Chemistry in Eastern England, known colloquially as the “Hatfield MedChem” meeting. This is a highly successful, long-standing, one-day annual meeting. To commemorate 30 years, the programme will focus on ‘Celebrating UK Drug Discovery’, highlighting success stories from large pharma, biotech and academia; and exciting scientific prospects for the future. Presentations will showcase medicinal chemistry from tools to candidates, across a range of modalities, therapeutic areas and target classes with an emphasis on key learnings and knowledge developed during the course of effective discovery efforts. The meeting aims to be informal and interactive and will offer excellent scientific development and networking opportunities for all those working in medicinal chemistry and drug discovery. Meet Lars Ole Haustedt in Hatfield! This event will bring together drug-seekers from academia and industry focused on the application of new technologies and computational tools to tackle this question in order to deliver higher quality leads. This 1.5-day meeting will create a dynamic, interactive environment for presentations and discussion, and also includes a ½-day networking session for one on one partnering meetings between participants and round table discussions on key topics Sharing libraries among academics; Informatics including data management flow; Virtual screening software tools and open source software. Meet Betsy McKibben in Boston! 300 delegates representing leading biotech companies, global pharmaceutical organisations and internationally renowned academic institutions. Meet Lars Ole Haustedt in Berlin! Meet Nadia Buonomo and Lars Ole Haustedt in Nantes! Meet Dietmar Wolf in Florida! After the huge success of our back to back conferences in Europe and U.S., we at World BI, are beyond excited for 2019 events taking place in Frankfurt, Boston, San Francisco & Barcelona. DDIP has always proven to be a unique platform to meet senior level executives, key decision makers and experts all-around the Academic Institutions, Pharmaceutical, Biotech and lead researchers making the congress a perfect platform to share experience, foster collaborations to put forward many thought provoking strategies. If you hope to discover new ideas, search for new skills and a platform to show your capabilities and discoveries to the world, there couldn’t be a better place for you to be on April 11-12 2019! Meet Lars Ole Haustedt and Nadia Buonomo in Frankfurt a.M.! Cambridge Healthtech Institute’s 14th Annual Drug Discovery Chemistry is a dynamic conference for medicinal chemists working in pharma and biotech. Focused on discovery and optimization challenges of small molecule drug candidates, this event provides many exciting opportunities for scientists to create a unique program to hear presentations most suited to one’s personal interests by going back and forth among concurrent conferences. New for 2019 includes coverage of Artificial Intelligence for Early Drug Discovery and Directed Evolution-Based Drug Discovery, plus even more short courses to choose from. Meet Betsy McKibben and Dietmar Wolf in San Diego! The aim of the 7th RSC-BMCS Fragment-based Drug Discovery meeting will be to continue the focus on case studies in Fragment-based Drug Discovery that have delivered compounds to late stage medicinal chemistry, preclinical or clinical programmes. The Fragment series was started in 2007 and continues with the theme, having over three-quarters of the presentations focused on case studies. The conference will include successful examples from all types of fragment-based approaches, including high concentration, NMR, SPR and X-ray screening. Meet Lars Ole Haustedt in Cambridge, UK! Future Food-Tech returns to San Francisco March 21-22, 2019. The Summit is acclaimed as the most international gathering of food business leaders, VC investors and food-tech innovators to transform innovation and investment in food. Meet Dietmar Wolf in San Francisco! This symposium will bring together scientists in biology and chemistry that rarely interact to address common questions. The interdisciplinary collaborations that result will profoundly accelerate basic microbiome research as well as help understand the role of the microbiome in human health and disease. We will emphasize speakers that employ innovative new methods and/or hypothesis-driven research to understand microbial systems at the molecular level. We have invited speakers with innovative paradigm-shifting research programs in chemistry, synthetic biology, genome editing, precision medicine, etc. Meet Danielle Demers in Québec! Kap Europa Congress Center, Frankfurt a. M.
Meet Jens-Peter Müller in Frankfurt a.M.! Treffen Sie Lutz Müller-Kuhrt, Lars Haustedt und Karsten Siems in Irsee! Meet Danielle Demers in Washington! 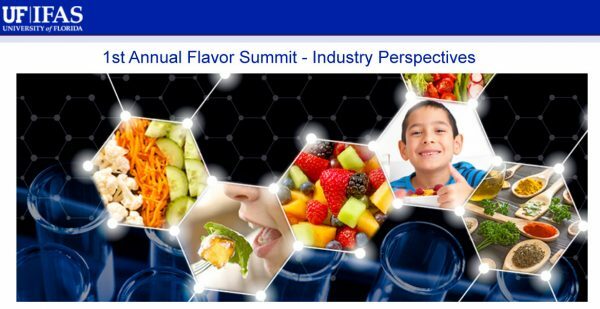 The 1st Annual Flavor Summit Industry Perspectives workshop, hosted by the University of Florida, Citrus Research and Education Center and the University of Florida Center for Smell and Taste. This workshop will offer insights into the cutting edge science and current industry trends relevant to flavor. Topics will include flavor generation and flavor precursors, chemosensory perception and psychophysics, consumer preferences, and natural products as sources of novel flavor compounds. The training program will be provided by leading speakers from industry, government, and academic institutions around the world. Posters and tabletop demonstrations will also be available throughout the workshop. Meet Dietmar Wolf in Orlando! Meet Jens-Peter Müller in Paris! As the potential to drug the RNA increases, a plethora of previously un-druggable targets are opening up. Curated with the insights from those leading the push in Pharma, Biotech & Academia, the RNA Targeted Drug discovery Summit is devoted to optimizing the process of discovering small molecules that bind specifically to quality RNA targets and translating these into clinically effective therapies. Meet Dietmar Wolf in Boston! not be missed. We look forward to seeing you there. Meet Danielle Demers and Dietmar Wolf in San Diego! The 16th Annual Discovery on Target, “The Industry’s Preeminent Event on Novel Drug Targets,” will once again gather over 1,300 drug discovery professionals in Boston, MA, this September 25-28, 2018. The event brings forth current and emerging “hot” targets, technologies and validation strategies for the development of novel small molecules and biologics. Meet Betsy McKibben in Boston at booth #404! 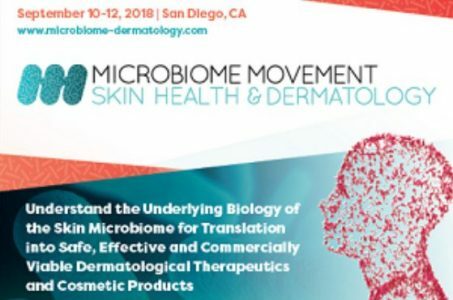 Driven by cutting-edge case studies and interactive panel discussions from academia and biopharma, Microbiome Movement – Skin Health & Dermatology will navigate through a carefully-constructed agenda to help you identify the underlying biology of host-microbiome interactions, with the aim of creating safe and scientifically-validated skin products of the future. 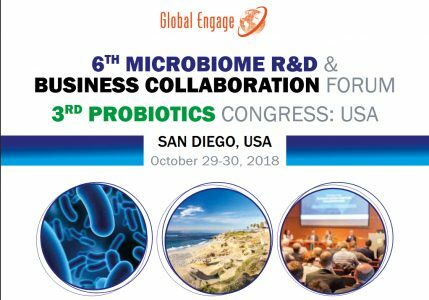 So whether you have already started your journey into the skin microbiome or are interested to see where the future of skin health may lie, tap into a unique network of peers who continue to set a precedent and solve some of the greatest challenges when harnessing the skin microbiome. Meet Danielle Demers in San Diego!